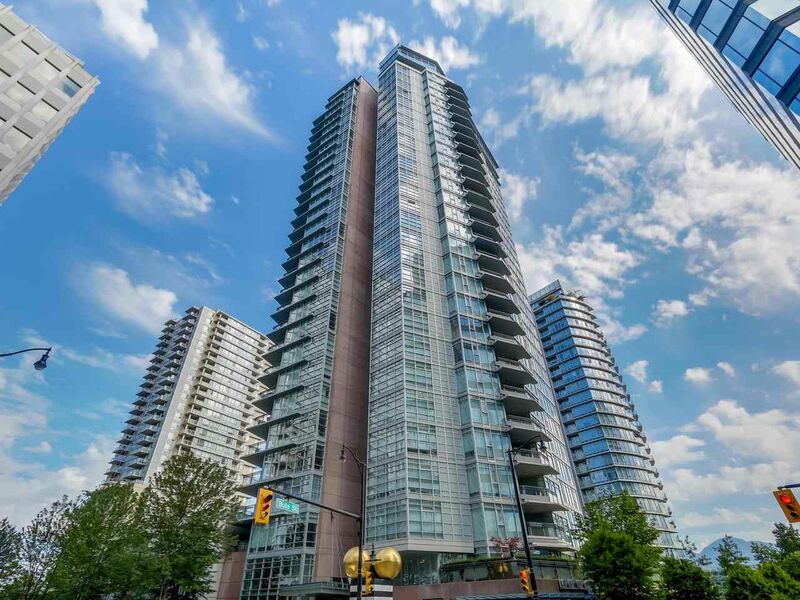 Cielo - Rare to find in prestigious Coal Harbour well-known building, this beautiful spacious 2 bedrooms, 2 bathrm suite with a view of harbour green park and water. Contemporary finishes with open kitchen, gas cook top, energy efficient geo-thermal systems, A/C,2 parking, large covered balcony. Newer Fridge, Washer & Dryer(Maytag),Quality laminate floors and Entertainment wall unit in living room additional shelving in pantry, so much more to be mentioned. Urban fare located below for your convenience. Stroll down to the seawalk.. 24 hrs concierge. Incredible investment opportunity or move in ready.